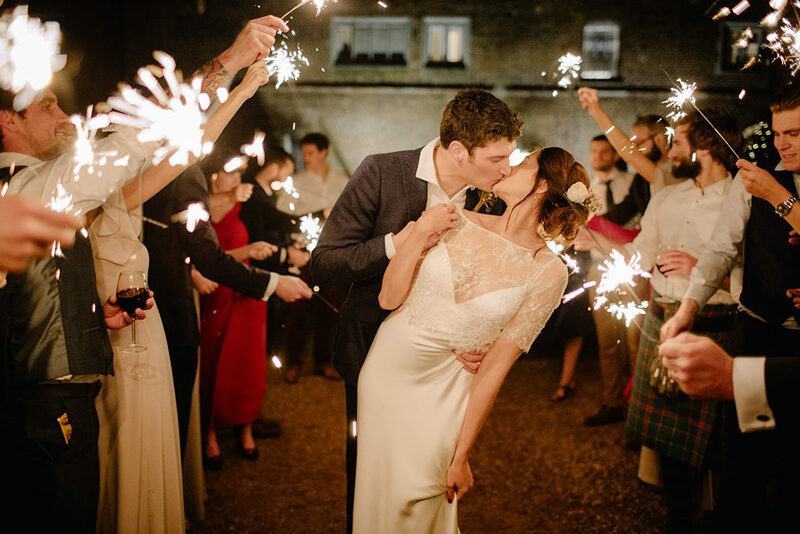 December 2017 saw the romantic New Year wedding of Charlotte and Gareth. 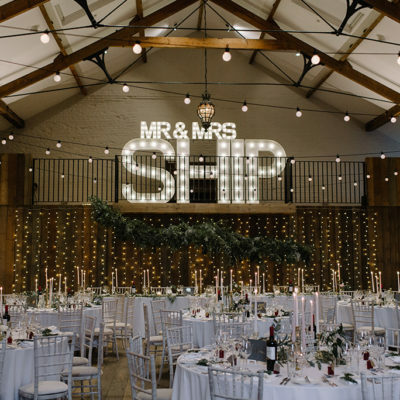 Falling in love with the style of Oxnead Hall they were also enticed by the fact that they could spend an entire weekend at the Norfolk venue, celebrating with their friends and family. A winter delight, Oxnead Hall was transformed in to an enchanted forest with natural foliage, an abundance of beautiful flowers and over 300 candleholders in glass and brass. The elegant style continued with a couture bridal gown and stunning bridesmaid dresses in slate grey and blush pink to complement the colour scheme. A ceremony in the Fountain Room was followed by a Champagne drinks reception in the Orangery and an exquisite wedding breakfast. After the sun went down, the dancefloor filled, a stone-baked pizza van served up slices of deliciousness…. and guests danced the night away. For more real wedding inspiration from Oxnead Hall, take a look at Lydia and James’ beautiful autumn wedding.